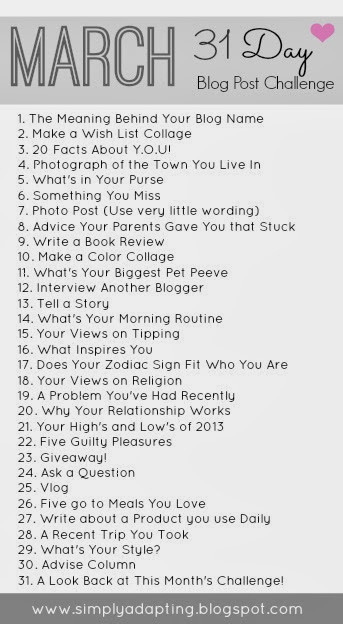 Day 3 | 20 Facts About Me! I’ll try and spice it up a bit. I’m 25 years old despite looking like a high schooler. I don’t sleep with a sheet. I dance (or move weird, really) when there is no music playing. I’m allergic to a lot of food. I’M GOING TO SEE DEMI LOVATO IN CONCERT SATURDAY. A lot of times, I don’t know what I’m doing. I’m not very good with commas. But I like to write stories. I sing in the car. I can’t tread water (aka I can’t swim). When I’m financially stable, I’m going to be a Nike snob. I don’t take daily vitamins, but I should (das expensive, though). I complain about money a lot, but I’m fine. It’s fine. I’m fine. I watch Criminal Minds too much. I want to do my own (creative) thing to make money. I like to laugh and eat potatoes. Thanks for reading! If you want to join in on the challenge, click here!